For an eighth consecutive year, Gutglass, Erickson, Bonville & Larson, S.C. is excited to share that we have been named a 2018 U.S. News – Best Lawyers® “Best Law Firms” Tier 1 firm in Milwaukee Metro Area for both Medical Malpractice Law – Defendants and Personal Injury Litigation – Defendants. “Best Law Firms” appointees must receive a particular combination of client feedback, information provided on Best Lawyers peer-review, the Law Firm Leaders Survey, and the Law Firm Survey. Over 13,000 attorneys provide more than 1,000,000 law firm assessments, and over 7,500 clients provided more than 65,000 evaluations to ensure a thorough examination process. The firm must also have one appear appear on the Best Lawyers in America® list: we exceed this requirement as Gutglass, Erickson, Bonville & Larson, S.C has four attorneys on the 2018 Edition of this list. The “Best Law Firms” rankings are based on a rigorous evaluation process that includes the collection of client and lawyer evaluations, peer review from leading attorneys in their field, and review of additional information provided by law firms as part of the formal submission process. 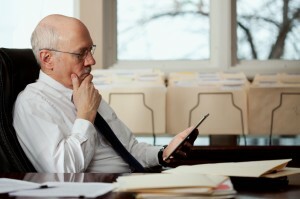 For more about Best Lawyers and the Best Law Firms list, visit www.bestlawyers.com. We’re so honored to announce that for over 6 years each, Milwaukee lawyers James Gutglass, Paul Erickson, Kathleen Bonville, and Mark Larson from Gutglass, Erickson, Bonville & Larson, S.C., were included in The Best Lawyers in America © 2018 (Copyright 2017 by Woodward/White, Inc., of Aiken, SC) a list curated by their legal community peers. James Gutglass has been included on the list for 11 years, while the other partners have each been for 6. Congratulations to all. Year over year, attorneys must continue to earn the votes of their peers to be included in the next year’s edition, which is a testament to our firm’s tradition of excellence. Our firm is proud to wear the Best Lawyers title through earning the trust of our peers and clients through our ethics, skills, compassion, and integrity. It’s with great pride that we announce that Gutglass, Erickson, Bonville & Larson, S.C. has been named a Tier 1 firm in Milwaukee Metro Area for the 2017 U.S. News – Best Lawyers® “Best Law Firms” list for both Medical Malpractice Law – Defendants and Personal Injury Litigation – Defendants. The firm has been ranked and appeared on this list since the first edition in 2010. In order to be included on the “Best Law Firms” list, firms must receive a particular combination of client feedback, information provided on Best Lawyers peer-review, the Law Firm Leaders Survey, and the Law Firm Survey. To meet that criteria, the firm must also have one appear appear on the Best Lawyers in America® list: Gutglass, Erickson, Bonville & Larson, S.C has four attorneys on the 2017 Edition of this list. The “Best Law Firms” rankings are based on a rigorous evaluation process that includes the collection of client and lawyer evaluations, peer review from leading attorneys in their field, and review of additional information provided by law firms as part of the formal submission process. For more about Best Lawyers and the Best Law Firms list, visit www.bestlawyers.com. It’s with great excitement and pride that attorneys James Gutglass, Paul Erickson, Kathleen Bonville, and Mark Larson from Gutglass, Erickson, Bonville & Larson, S.C., were once again chosen for inclusion in The Best Lawyers in America © 2017 (Copyright 2016 by Woodward/White, Inc., of Aiken, SC). Many congrats to the firm, with each partner appearing on the list over 5 years in a row, and over 10 years for James Gutglass! Since it was first published in 1983, Best Lawyers® has been regarded as the definitive guide to legal excellence. Based on an exhaustive peer-review survey involving 55,000 leading attorneys and 6.7 million votes, the Best Lawyers® list truly encompasses a sound representation of the top attorneys per practice area, based on other respected, top attorneys in those practice areas. Lawyers are not allowed to pay for inclusion on the list. Corporate Counsel Magazine considers Best Lawyers “the most respected referral list of attorneys in practice.” By consistently maintaining these peer votes and therefore being repeatedly chosen for features in the yearly edition, we’re excited to have the legal community’s constant recognition of our firm’s excellence. With well over 30 years of combined experience, this comes as no surprise but remains quite an honor. While we continue to earn our peers’ trust through our success, ethics, and integrity, we’re even more committed to earning that same opinion from our clients. Is This a Trade Secret? Think Again. Businesses jealously guard information they deem confidential and economically valuable. They may attempt to do so by invoking noncompete and nonsolicitation agreements with former employees to prevent those employees from using such information in the course of new employment. Where there is no enforceable agreement, they may indirectly seek to interfere with the new employment by accusing the former employee, and possibly his or her new employer, of misappropriating trade secrets, in violation of Wisconsin Statutes section 134.90(2). A recent court of appeals decision may discourage using trade secret litigation as an intimidation tool by recognizing there are limits as to what categories of arguably valuable confidential information qualify for trade secret protection. The information derives independent economic value, actual or potential, from not being generally known to, and not being readily ascertainable by proper means by, other persons who can obtain economic value from its disclosure or use. The information is the subject of efforts to maintain its secrecy that are reasonable under the circumstances. 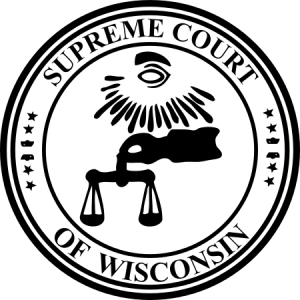 On April 28, 2016, the Wisconsin Court of Appeals in North Highland, Inc. v. Jefferson Mach. & Tool, Inc., No. 2015AP643, 2016 WL 1689972 (Wis. Ct. App. Apr. 28, 2016), affirmed a summary judgment dismissing North Highland Inc.’s claim that Frederick A. Wells, a former employee, and his new company, Jefferson Machine & Tool Inc., violated the Act by obtaining from another former employee the amount of a confidential bid North Highland had submitted to Tyson Foods, Inc. for a project at Tyson’s Jefferson, Wisconsin facility misappropriating a confidential bid amount and using that information to present a more favorable bid on behalf of Jefferson Machine. The court held that North Highland had failed to demonstrate that a confidential bid amount falls within the Act’s definition of “trade secret.” Acknowledging that the examples of information eligible for trade secret protection—formulas, patterns, compilations, programs, devices, methods, techniques, or processes—did not constitute an exhaustive list, the court nonetheless held that “information” had a much narrower definition than the dictionary meaning of the word. It encompassed only such information as was similar in nature to the enumerated items. North Highland failed to demonstrate such similarity. Accordingly, North Highland teaches that a business cannot establish “trade secret” status simply by satisfying the “economic value” and “attempts to maintain secrecy” criteria in § 134.90(1)(c)1. and 2. The result also suggests that in the court’s view, confidential pricing information is not the type of information protected under the Act. If you have been accused of misappropriating a trade secret or want to know whether your confidential business information is entitled to trade secret protection, the experienced business attorneys at Gutglass, Erickson, Bonville & Larson, S.C. are here to help. Call Atty. Joan M. Huffman at (414) 908-0237. 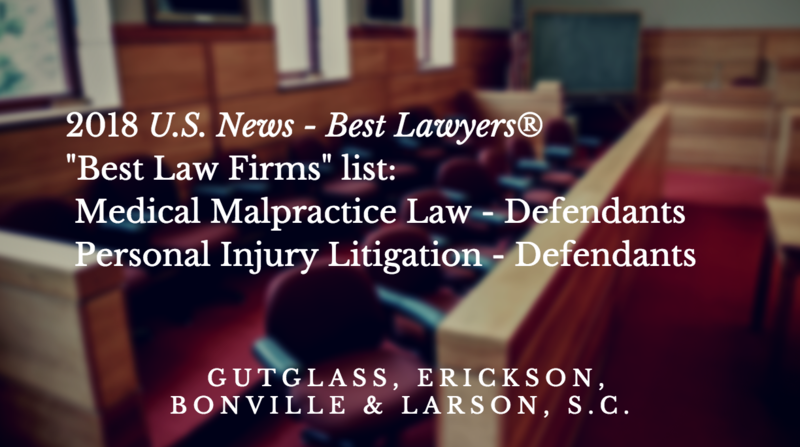 Gutglass, Erickson, Bonville & Larson, S.C. has been named a Tier 1 firm in Milwaukee Metro Area for the 2016 U.S. News – Best Lawyers® “Best Law Firms” list for both Medical Malpractice Law – Defendants and Personal Injury Litigation – Defendants. To be eligible for inclusion on the “Best Law Firms” list, firms must receive the appropriate combination of client feedback, information provided on the Law Firm Survey and the Law Firm Leaders Survey and Best Lawyers peer-review. This means that they also must have at least one lawyers that’s been included on the Best Lawyers in America® list: Gutglass, Erickson, Bonville & Larson, S.C has four attorneys on the 2016 Edition of this list. The Wisconsin Supreme Court recently addressed whether the discovery rule applies to claims that may not be discovered until after a decedent’s death. In Christ v. Exxon Mobil Corp., 2015 WI 58, the issue presented was whether the discovery rule applied to survival and wrongful death claims that were not discovered until after the expiration of the statute of limitations. The plaintiff representatives of estates and wrongful death claimants alleged the decedents’ injuries and deaths were a result of exposure to benzene at a tire manufacturing facility. The court held the discovery rule permits the accrual of survival and wrongful death claims after the date of the deceased’s death, if the plaintiff estate representatives and beneficiaries are able to demonstrate they exercised reasonable diligence in investigating and discovering their claims. You can view the entire discussion here. Trust & Efficiency Valued by Wisconsin Attorneys of Gutglass, Erickson, Bonville & Larson, S.C. Facing legal issues can be unnerving. Our attorneys are experienced professionals, highly regarded in the community and among their peers and will help restore you to a state of calm, as they work through the situation with tact and ease. Whether you’re a doctor or hospital facing a lawsuit due to medical malpractice, disputing a contract with an employer, or considering a product liability suit, our lawyers – based in Milwaukee but serving Wisconsin – will draw upon their 30+ years experience to assist you. Gutglass, Erickson, Bonville & Larson S.C. believes you deserve trustworthy attorneys who will pursue legal action on your behalf armed with the knowledge, passion, and professionalism to best serve you. We’ve represented a wide range of clients, from individuals to large corporations, treating each with the respect they deserve. When you hire us to take your case, you hire trustworthy attorneys who will carefully, expertly handle the situation, no matter the scope. Our ethics, skill, integrity, and plain hard work set us apart from other Milwaukee law firms, and we’re proud of the trust that we earn from our clients with each new case. We love the Milwaukee community, which is why we’re so proud to have successfully handled thousands of cases in the area, helping businesses and individuals pursue their goals and maintain their rights. We’ve taken on constitutional challenges before the Supreme Court and a landmark Milwaukee civil rights case. 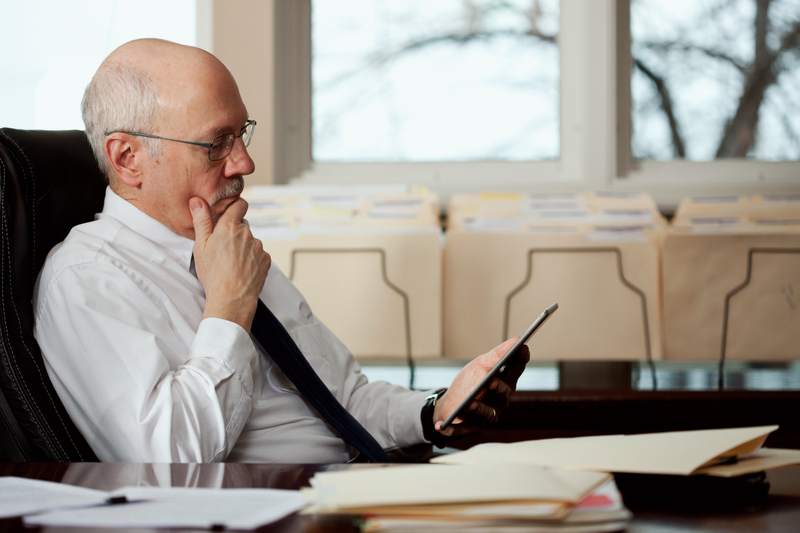 When you invest your trust with GEBL as your Wisconsin attorney, your team will be led by a senior partner expert in the area of law where your case falls: business law, healthcare law, personal injury law, etc. 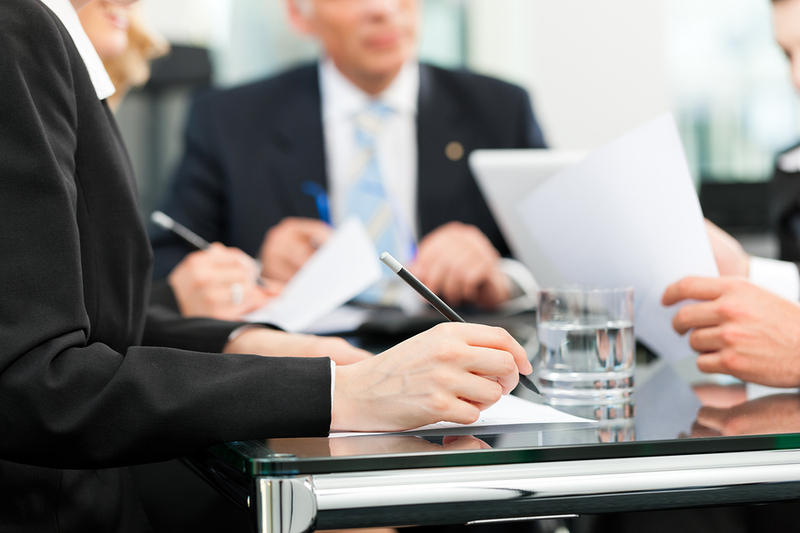 Each of our senior partners have extensive trial experience in each legal area, allowing our firm to handle legal matters over a broad spectrum of issues and complexities with efficiency, economy and success. If you have slipped, fallen, and injured yourself, the seasoned lawyers from Gutglass, Erickson, Bonville and Larson, can help. Slip and fall lawsuits are more common than you would think. Why? Slip and fall lawsuits know no discrimination; they can happen anywhere and to anyone: a storefront, the pharmacy, or even an individual’s front pathway can all be areas for slip and fall accidents. Unsure if an inquiry you have suffered qualifies for this type of lawsuit? You may be legally entitled to compensation for your slip and all-related personal injury. If you received a mild to severe injury on an individual’s property or in a public space, you may have a solid case for a slip and fall lawsuit. The key? Proof that the injury was caused due to negligence is essential. Were dangerous conditions left unfixed? If the property owner knowingly allowed for unsafe conditions to exist or took no measures to have them prevented, resolved, or discovered in the first place, you may be entitled to compensation. If you are interested in filing a slip and fall lawsuit, or are unsure if you should, Gutglass, Erickson, Bonville and Larson Law Firm is prepared to provide you with legal assistance. Slipped and fallen? Call (414) 273-1144 to learn how we can help with your personal injury. Proudly serving the Milwaukee, Wisconsin, community.